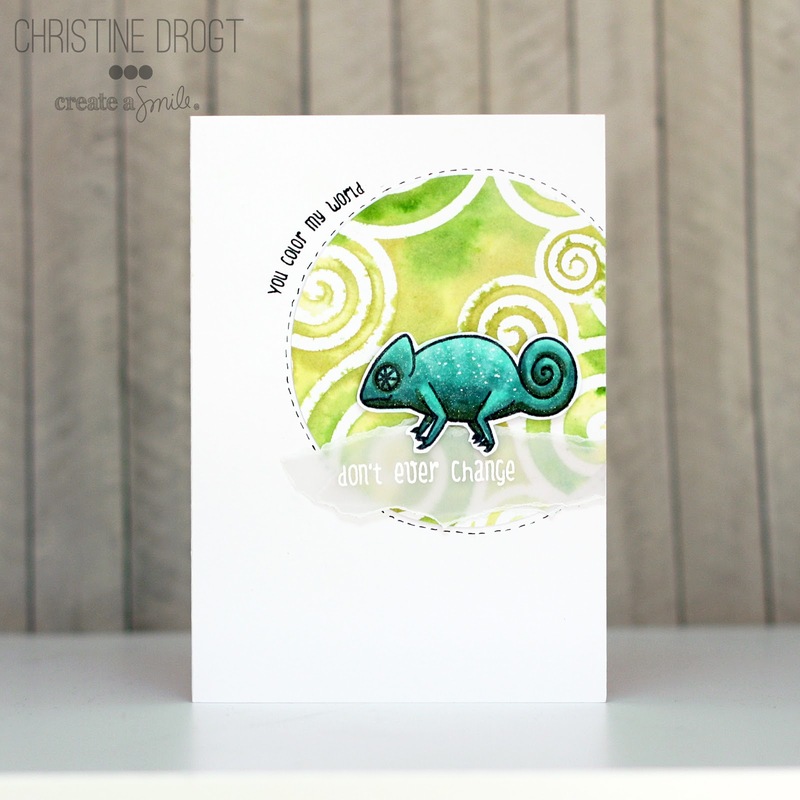 I'm over on the Create A Smile Stamps Blog today with a new Stencil Sunday video. This week I'm talking about watercolor and stencils... Because it works - if you use spray adhesive on your stencils. I used the Swirly Stencil and the Jungle Fever Stamp Set. You can find more Details (e.g. the Copic colors) on the CAS blog. 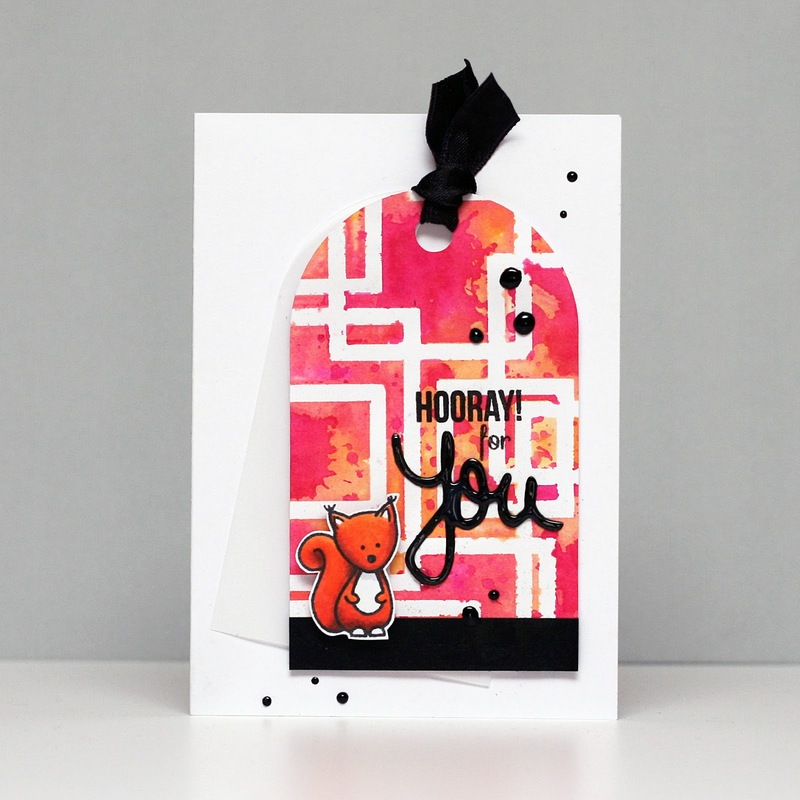 heute bin ich mit einem neuen Stencil Sunday Video auf dem Create A Smile Stamps Blog. Diese Woche spreche ich über Wasserfarben mit Stencils - das geht nämlich, wenn man Sprühkleber benutzt. Ich habe den Swirly Stencil mit Jungle Fever benutt. Weitere Einzelheiten (wie z.B. die benutzten Copic-Farben) findet ihr auf dem CAS Blog. Приглашаю принять участие в проекте и заодно познакомится с европейскими рускоговорящими рукодельницами! What a sweet little card and an awesome technique! Thank you for sharing with us at The Paper Players! Terrific cards! 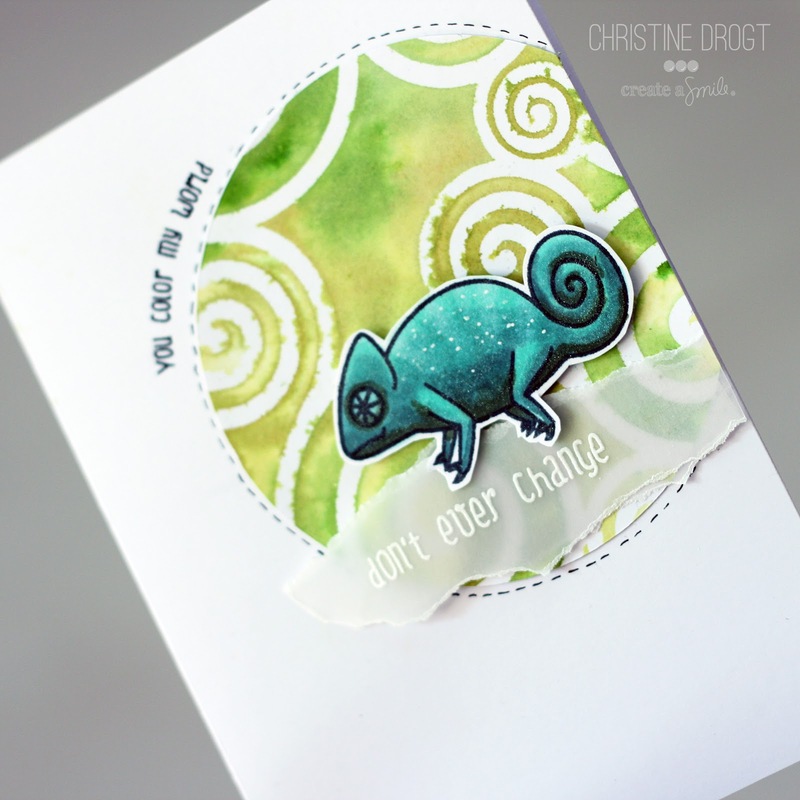 I love how you colored the chameleon and the watercolored swirls are awesome. So glad you shared your creation at The Paper Players. Love the stencil technique and your shimmer over that cute lil guy!! :) Such a fun card!! Love how you framed your image and kept the card so CAS. Great fussy cutting, too! Thanks so much for joining in with AAA Cards. What beautiful creations and what a fabulous technique! Thanks so much for sharing with us at The Paper Players, Christine!